Preliminary numbers indicate car theft rose nationwide last year by 6 percent. Imagine what it would be like to head to a restaurant or movie some Friday or Saturday night, only to find that the vehicle you drove to get there had disappeared. For thousands of Americans every year, this isn’t just a bad dream – it’s a living nightmare. In 2015, more than 707,750 vehicles were reported stolen to local authorities, according to the National Crime Insurance Bureau. That’s a 1 percent increase from the previous year, when the total was approximately 689,500. No one wants to be victimized by crime, particularly the automotive variety, as important possessions are often left behind in a vehicle’s interior that can be life-altering if tampered with. What’s more, an automobile all alone is one of the biggest purchases people make in their lifetime. Today, many vehicles come with programs already installed that send out an audible horn honk or squeal when car door locks are tampered with. But because these often turn out to be false alarms – stemming frequently from young children playing with their parents’ key fobs – they’re not as effective as they used to be, simply because passersby have grown accustomed to them being false positives. The NICB recommends implementing a theft-avoidance system with some teeth. Examples include steering column collars, brake locks, VIN etching and micro dot marking. VIN etching has proven to be an effective countermeasure because a car’s vehicle identification number winds up deterring thieves from stealing, once the VIN has been stenciled onto other parts of the vehicle. When parts are stamped with a VIN, they’re less valuable on the black market. It ought to go without saying, but you should always lock the doors and close the windows whenever you’re away from your vehicle. This includes when you’re at home and the car is in the driveway. 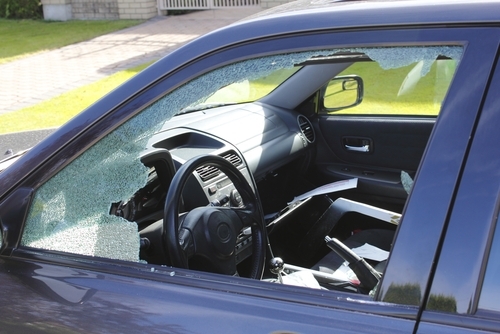 Thieves are increasingly brazen and will frequently penetrate a car’s interior when cars are parked in owners’ own backyards. 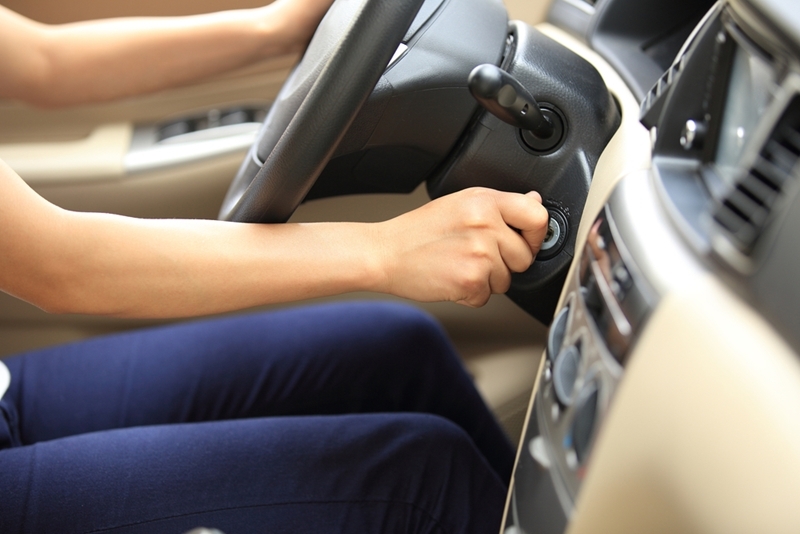 Additionally, be sure to always remove the keys from the ignition, as this too is something that drivers will forget to do from time to time. This is especially true during winter, when motorists warm up the car before heading to work. In many states, it’s illegal to have your car running when it’s unattended. Washington and Oregon are among them. Something as simple as leaving your keys in the car dramatically increases the risk of theft. A thief doesn’t always need a key to make off with a vehicle. Many are well versed in auto mechanics and can “hot-wire” cars they target, bypassing the traditional ignition method by reconfiguring internal circuitry. Fortunately, there are a variety of tools that can prevent thieves from using this stratagem. Among other devices, NICB recommends smart keys, fuse cut-offs, kill switches and fuel pump disablers. These are widely available online or you may want to ask your insurer about devices that it suggests. Where are car thefts taking place? No state is immune to automotive-related crimes, but for the past several years, California has seen the most incidences, according to the NICB. For instance, in 2016, Los Angeles was home to more reported car thefts than any other city in the U.S., totaling 60,670, with San Francisco in a distant second at 29,414 overall. On a per-capita basis, five of the country’s most prevalent cities for car theft were located in the Golden State. But in the No. 10 position was Billings, Montana. That’s the first time the city has ever been among NICB’s 10 cities with the highest per-capita theft rates. This may be due to the massive vehicle theft ring that the Billings Police Department helped stamp out late last year. According to local news reports, at least 115 automobiles were reported stolen in one month’s time. Auto theft is up again, however, as at least 250 cars have been absconded with so far this year in Montana’s Trailhead, according to local NBC news affiliate KULR.